New addition to our Oral History Exhibit. She’s placed in between Kalga Jaad and the Xuuagii skull. This petrified walrus skull, discovered on Haida Gwaii in 2017, is 42,000 years old (+/-1300 years)—dating the walrus’ life back to the interglacial period—the same time as that of Kalga Jaad. 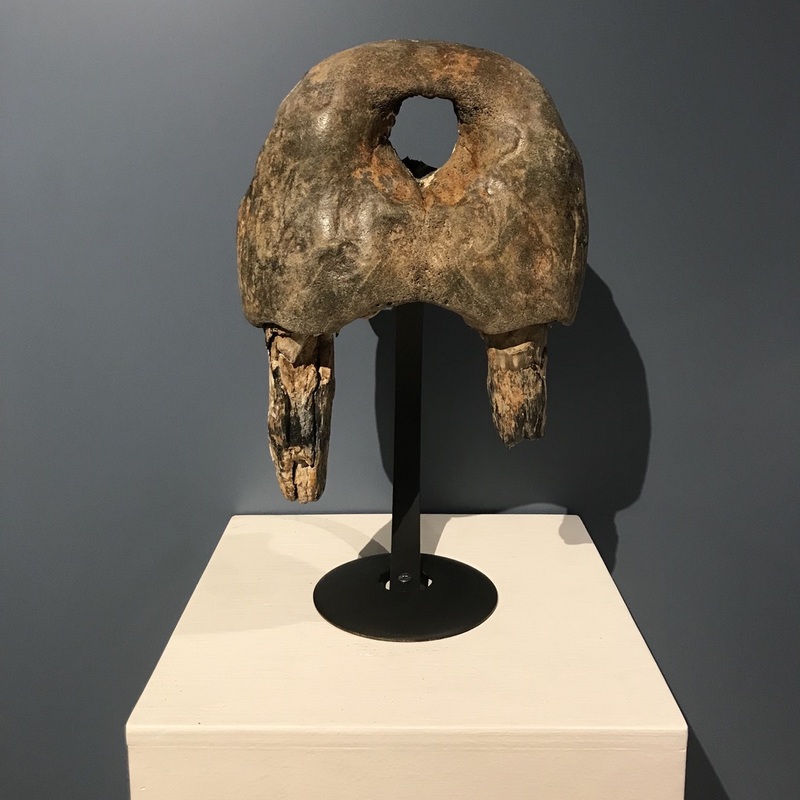 This walrus skull, and other discoveries made possible through our stories of the Ice Age, is viewed as a form of supporting evidence for knowledges held from both a Haida perspective and a western scientific perspective. These walruses thrive in the arctic and subarctic, which is the environment described in Kalga Jaad’s narrative.